When the new calling goes live, calls to the U.S. and Canada will be free from “all countries where Hangouts calling is available.” International calling will remain as cheap as ever. They also improved the desktop calling experience by allowing you to add multiple phone numbers and video participants to the same call. 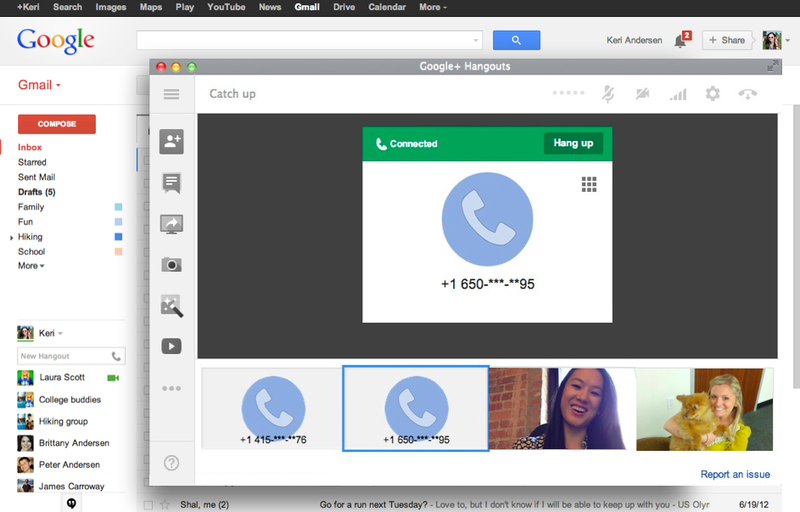 For those familiar with video Hangouts, the sound and Google effects are there as well. See the top image to get an idea of how that will work. 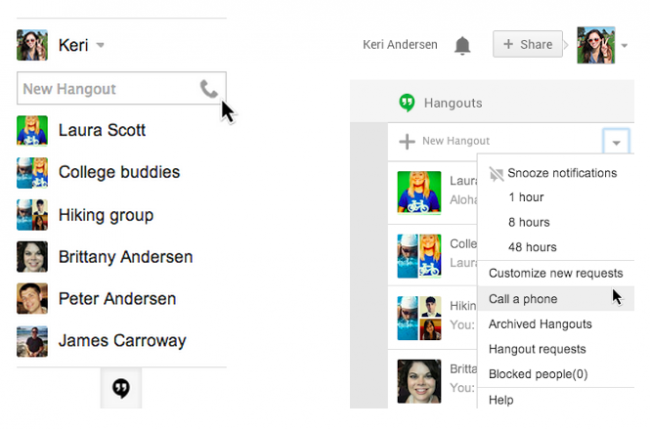 To make calls (once the service is live), you’ll see a new phone icon in Gmail or a new “Call a phone” menu in Google+ and the Hangouts Chrome extension (all pictured below). On a last note, Google reminded us today that “Hangouts is designed to be the future of Google Voice.” They didn’t mention Android or the Google Voice app anywhere in the announcement, but if calling has come to Gmail, G+, and Chrome, we’ll keep our fingers crossed for it arriving before long on mobile.